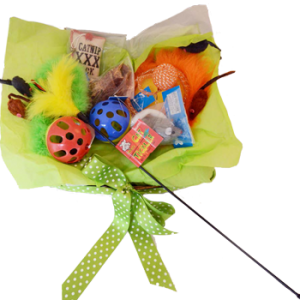 Scamper Hampers is the BEST SITE for LUXURY pet hampers. 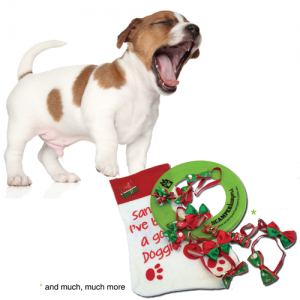 Free reliable delivery, great value, high quality products and canine happiness guaranteed. So go on SPOIL YOUR DOG or CAT, it's worth it! 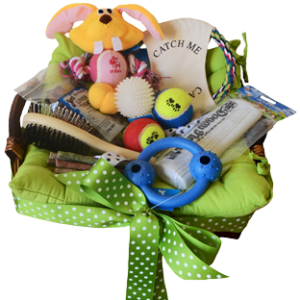 Become a Doggie Rescue Lifesaver - For every hamper sold we donate $5 to Monika's Rescues. Please visit our website to see our great range. While we make every effort to ensure that the breeders listed on Perfect Pets are *registered, responsible, and maintain high ethical standards, please take 5 minutes to read the advice below and also see our detailed information on finding a reputable breeder. Our recommendation is that you purchase pets locally and in person because with online transactions you can't be 100% sure who you are dealing with. While many reputable breeders send animals interstate safely and without issue, we do not encourage this. When you contact a breeder, keep in mind that responsible breeders will want some information about things like - the type of home you will offer, if you have experience with the breed and if not if you've researched the breed. Responsible breeders don't want to receive emails and messages that simply ask 'how much for a puppy? ', or 'when are kittens available' so tell them a bit about yourself. Remember - when you take on a new pet, you are making a decision that’s going to significantly affect your life for the next 10-15 years. Please make sure the breed you are interested in suits your family and lifestyle, and that you can give it the type of home it needs to be happy. Above all - use common sense and don't be impulsive. 1. Can you meet the mother and father, and how old are they? 2. Have the mother and father had any health issues? 3. What health checks and tests were done on the parents and grandparents, are they appropriate for the breed, and can this be verified with documentation? 4. Specifically, what vaccines have been given? Are they microchipped and registered? 5. Have they been been treated for parasites (fleas and worms), and what, precisely, was used? 6. Have they been checked by a vet, and is there evidence of this? 7. How much socialisation has the puppy or kitten had? Have they been raised in a household where they've been exposed to everyday life/children/other pets? If answered positively and appropriately the answers to these questions should reassure you that the puppy or kitten you're interested in will grow to be a happy healthy animal. Please note that information regarding breed specific health checks can at times be difficult to understand and interpret. Common genetic disorders are a serious and growing concern. It's not a bad idea to write down the information you've been given and seek advice from your vet for confirmation. Breed clubs are also great sources of information on health testing. A responsible and caring breeder will also want to make sure you are going to provide a loving and safe forever home, and will ask you lots of questions. 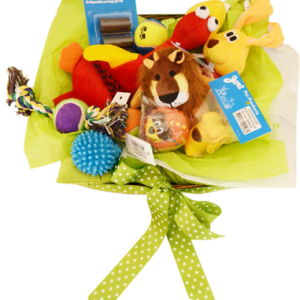 They will also provide extensive advice regarding feeding, health, ongoing socialisation, and the long term needs of your pet. Please contact us, as well as their veterinary practice (if possible), and the appropriate authorities in your area (eg. RSPCA, Local Council). *All dog breeders listed on Perfect Pets are ANKC registered breeders. Cat breeders are appropriately registered according to their local state/territory guidelines.